The biggest concern that has plagued the formal education system in India over recent years is the disconnect between industry and academia. In 2013, The National Employability Report on Engineering Graduates, released by Aspiring Minds, an employability solutions company, showed that out of the 5,00,000 engineers who graduate from various engineering colleges across the country every year, only 17 per cent are fit for the IT services sector. The number of engineers who are employable by “core” engineering industries, as opposed to services like IT, are far lesser, explaining in part why the health of Indian manufacturing is poor, and the reason for India’s disappointing indigenous aeronautical & aerospace industry. 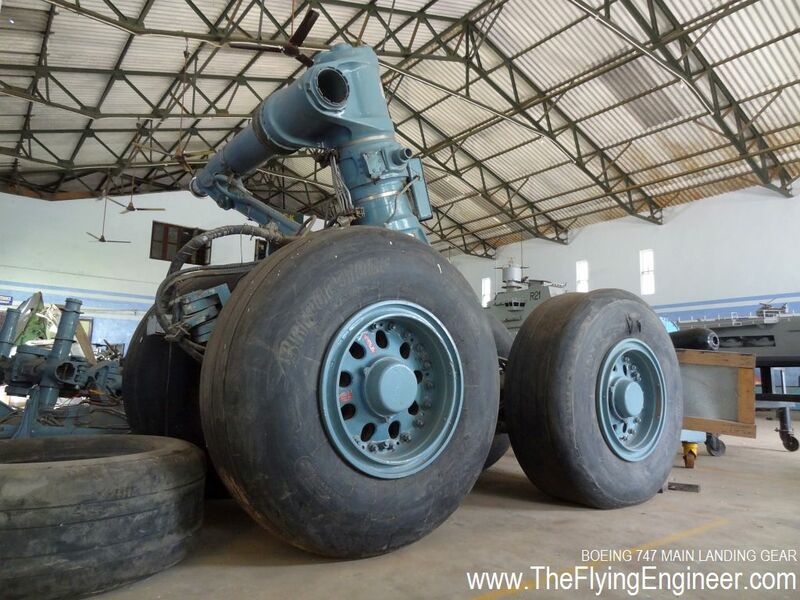 Aviation at the Hindustan Group started in 1968 with the course in Aircraft Maintenance Engineering (AME), which is a very hands on and practically oriented course backed by necessary theory. A requisite for the completion of the course is experience in maintaining and working with aircraft, associated systems, and components. It was with that mindset that a formal course in engineering-a four years long Bachelors in Technology in Aeronautical- was introduced by Hindustan Institute of Technology and Science (HITS), part of the Hindustan Group of Institutions (HGI), in 1997. Once the college was granted a “University Status” by UGC, Government of India, the institution started offering Aerospace Engineering in 2008, and now offers a variety of courses with various specializations in aeronautical and aerospace engineering, at the bachelors, masters, and research levels. What really makes this institute stand out from the rest in the country, including the IITs, are six things: First, it is a private institution started by late Dr. K.C.G Verghese to whom anything in aviation and aerospace was a heart driven activity, rather than a mere business venture. Second, the birth of the aeronautical department, 29 years after the AME course was started, at a separate campus, heavily influenced the college to adopt a more practical approach to education. Third, the institution has programs which are offered jointly by the Department of Science and Technology- Govt. of India, the industry, and the university, which leads to a level of exposure and industry readiness not seen elsewhere. Fourth, the aeronautical department at Hindustan University was one of the first ones to be established in the country, among private institutions. Fifth, the management offers scholarships, and also sponsors select students for overseas travel related to the field. Sixth, the engineering college is part of the Hindustan Group, which also runs a flight school at Pondicherry, and an AME college at the suburbs of Chennai, leading to significant exposure, experience and learning across these three offerings: something not found anywhere else with such intensity. “Engineering” is defined by the Oxford English Dictionary as “The branch of science and technology concerned with the design, building, and use of engines, machines, and structures.” This applies in particular to mechanical engineering, and its derived and specialised branches: aeronautical and aerospace engineering. One can have all the books, and the best faculty, but without working on the very machines that an engineer hopes to design in the future, an engineer is hardly an engineer but rather a student of theoretical sciences. Catering to the true spirit of engineering, and leveraging the groups’ early foray into aircraft maintenance and flying operations, including the running of a short-lived private airline, Air Asiatic, the aeronautical department has the largest number of aircraft, engines and airframe that may be found in any engineering college: A Boeing 737-200, two Beechcraft Twin Bonanza Queen Air, a Beech Jet 400, a MiG 23, a Cessna 152 and a Harvard Trainer. This covers the whole span of air transport in speed and size: subsonic, transonic, and supersonic; and general aviation, business aviation, air transport, and military. The department also has two dedicated hangars, which enclose a Boeing 737-200 non-functional full flight simulator, which was obtained from Air India, a non-functional multi engine simulator from erstwhile Indian Airlines, numerous aircraft parts and assemblies such as landing gears, including one from an Air India Boeing 747, hydraulic actuators, propellers of all types, batteries, generators, , a low-speed wind tunnel, two hovercraft, two Pratt and Whitney JT15D-5 Jet Engines, Two Avon Mk 109, one Pratt and Whitney turbofan JT8B , one tuboshaft, airliner structural and skin assemblies, including engine pylons and Boeing 747 doors, and a large collection of military jet and piston engines, some cutaway, to show the insides of the powerplant. An aero workshop is dedicated to aircraft structure, flight control & linkages, and propulsion: piston engines and propellers. 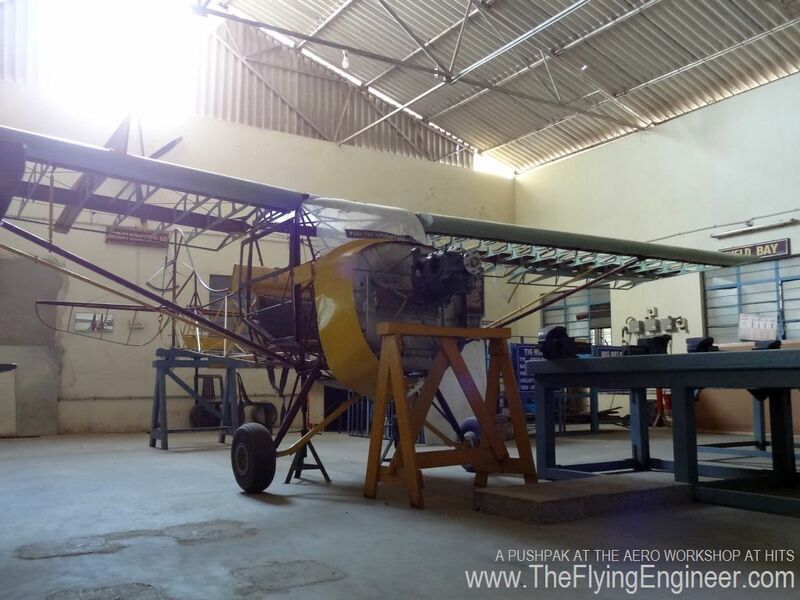 A Pushpak aircraft without the aircraft skin occupies a large section of the workshop. 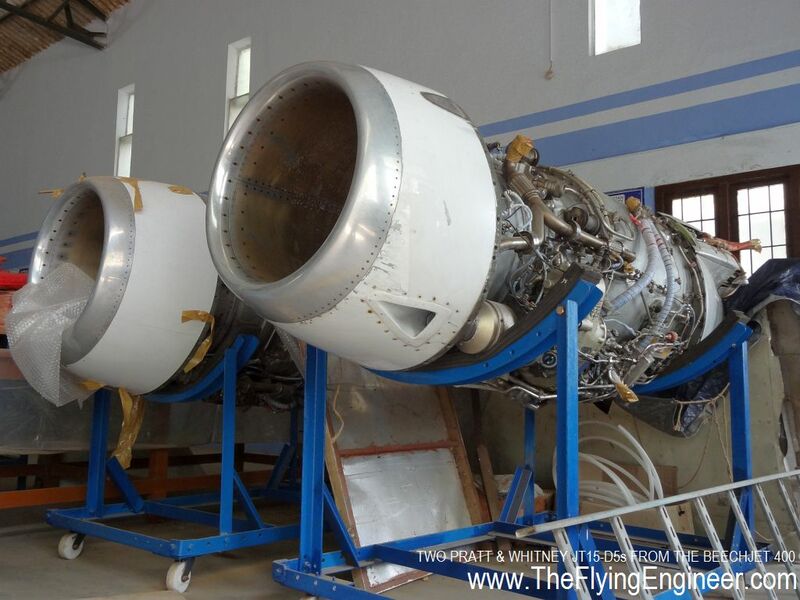 The college also has an avionics laboratory, which houses expensive equipment not found in other institutes: Pitot-static testers, IFR 4000 and 6000 series testers, fibroscope used in aircraft maintenance. 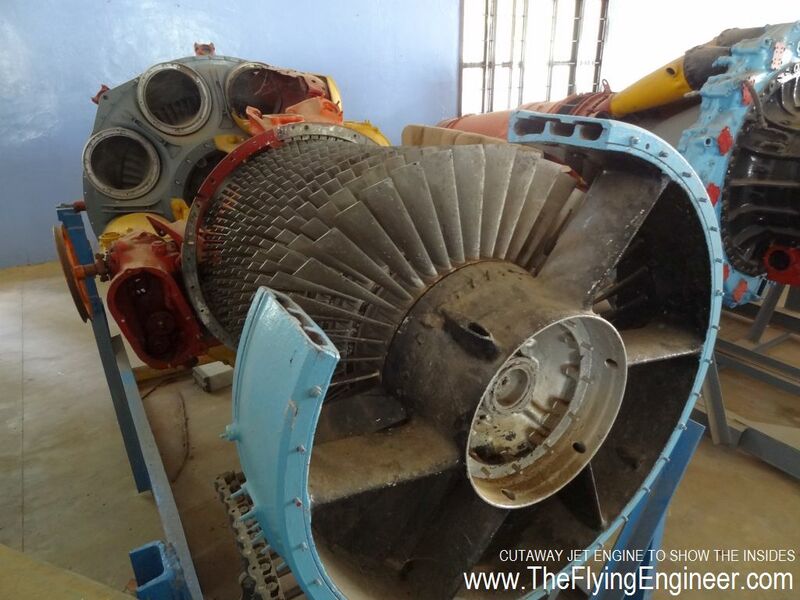 The lab also has ultrasonic, magnaflux and eddy current testers, to cater to no-destructive testing: a high-demand area in aviation. The lab also has computers with ARINC cards to allow students to work on an industry-wide accepted aerospace data transmission protocol: ARINC 429. 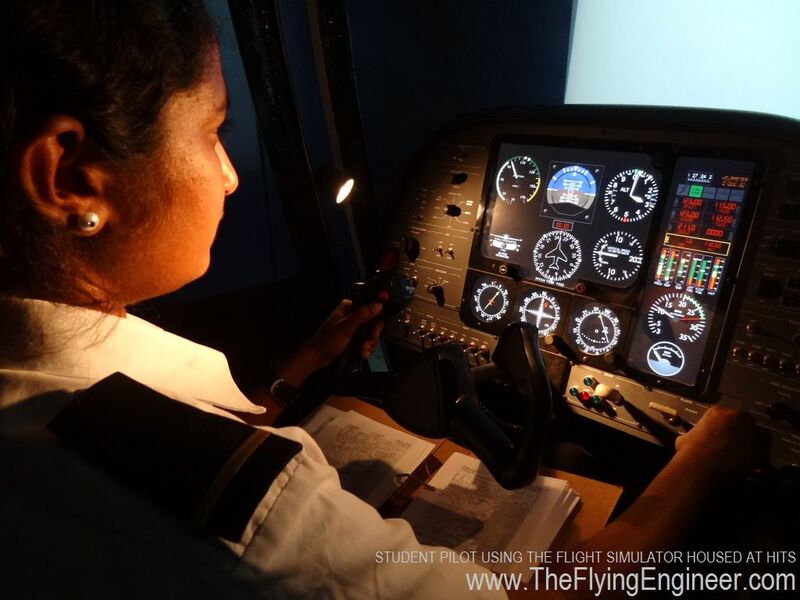 A DGCA approved Alsim AL-50 flight simulator attached to the Orient Flight School, Pondicherry, is housed in the School of Aeronautical Sciences consisting of the departments of aeronautical and aerospace engineering. Students get 2 hours on the flight simulator, helping strengthen their concepts in aerodynamics, performance, navigation and instruments. Students also get to fly on the aircraft at Orient Flight School, as passengers with an agenda: Studying aircraft performance, aerodynamic behaviour, and witnessing the practical use of instruments and communication systems by pilots. In addition, the entire department has framed aircraft pictures, drawings and cutaways, and propeller blades near the staff rooms are very effective in setting an aero-theme. In short, no other institute, college or university takes aeronautics and aerospace this seriously. There is reason for the university to take aeronautics and aerospace seriously: the department has the largest number of students at the Bachelor’s level. Against the annual capacity of 300 students, there are 240 students that enrolled in the 2013-14 academic year (175 Aeronautical and 65 Aerospace), with around 250 expected to enrol in the department next academic year. The department also offers Masters in the subjects of Aeronautical Engineering, Avionics, and Aircraft Maintenance Engineering, and doctoral (PhD) study programs. 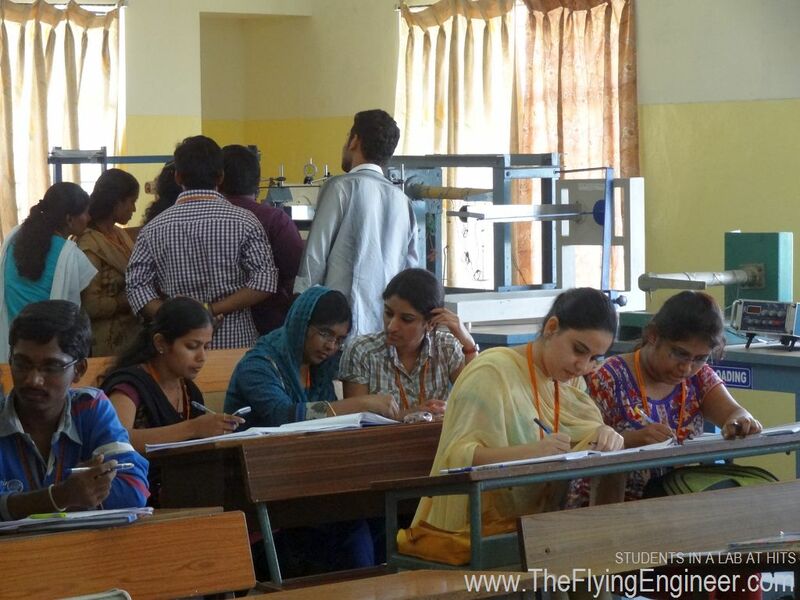 In 2013-14, 60 enrolled for their MTech in Aeronautics, 15 for the MTech in AME, and 20 for their MTech in Avionics. In addition, experienced engineers at senior levels in the aeronautics and aerospace service industry have enrolled for their PhD, as the quality of projects received depends on the number of employees in the company who have a doctoral degree in the field. This Department at HITS, through its continuous interaction with the industry, has identified four new areas of study and specialisation. At the Bachelors level, the institute will now offer a BTech in Avionics. At the Masters’ level, those pursuing Aeronautics can opt to specialise in composites and structures; those opted for a MTech in aircraft maintenance engineering (AME) can opt for a specialisation in Non-Destructive Testing (NDT)-an area that is gaining significant importance in recent years. Those pursuing MTech in Avionics can choose to specialise in Unmanned Aerial Vehicles (UAVs). Says Dr. Dilip A Shah, Senior Professor & Head of the Department, who specialises in fluid dynamics, and was previously with National University of Singapore (NUS) for 25 years, “Having so many airplanes, students can anytime walk in, and study these aircraft and components.” But has the practical exposure helped students at the department to work on something? ” Till now, the emphasis was more on producing high quality engineers, and less on research. Now that the undergraduate and postgraduate programs have evolved and are going on well, emphasis is seriously shifting to research. We are in the process of acquiring, establishing and upgrading to modern laboratory facilities to give a boost to research activities in all areas related to aeronautics and aerospace.”This is an approach that is, by western standards conventional, but by Indian standards revolutionary: strengthening basics and understanding before embarking on ambitious research projects. Supporting the shifting focus to research is the management which offers some exciting opportunities and benefits for its staff to pursue a PhD. At present, there are 37 faculty members, of which 7 hold doctoral degrees (PhD), 5 are working towards their PhD, and 25 have a Masters’ degree as their highest qualification and are to start working towards their doctoral degree in coming years. History has shown that some of the greatest innovations in aeronautics were from those who had a unique combination: an engineering degree and flying experience: engineers who are pilots as well. This allowed the engineer in them to understand problems, and come up with solutions based on their practical experiences. The autopilot, for example, was invented by Lawrence Sperry: an aviator and an engineer. Included in the four-year bachelor’s course are 2 hours on the flight simulator, where students are introduced to the basics of flying, and instrumentation. After completing 2 hours on the simulator, students gets to fly, as passengers, at the backseat of a Cessna 172. In the first one hour of flying, students are shown the various aerodynamic surfaces and flight controls, as well as explaining the instruments and systems in the cockpit. In the second 1-hr sortie, students are made to record various in-flight parameters, based on a checklist and guided by the pilot: Airspeed, Altitude, Pressures, observing the angle of attack at which stall occurs, at a given airspeed, amongst others. Two students fly in each sortie, and the in-flight-laboratory exercise is conducted in the second academic year, just when the students have stepped into the department, after the common first year. This way, students’ concepts are strengthened just when basics are being introduced, allowing them to better appreciate and understand deeper subjects through an early exposure. This contrasts the practice at IITs, where students are given an in-flight-lab experience at a later stage in their study. Besides, 5-6 students are flown together, in a slightly larger aircraft, putting to disadvantage students seated further away from the cockpit. Of the many IITs across India that offer a Bachelors in Aerospace, only few have a provision for this in-flight exercise. For example, IIT-Madras (Chennai) stopped offering this experience to its students, years ago. Hindustan Institute of Technology and Science offers beyond and more than the large number of airplanes on campus, the simulator sessions, and the in-flight exercise. Based on academic performance, 8 students from the department were handpicked, and their trip to the Singapore Airshow 2014 was sponsored by the management. This gave deserving students the opportunity to interact with some of the biggest names in the industry, as well as see a variety of aircraft and airliners, including the Airbus A350 and Boeing 787. Hindustan University has been a regular participant in the biannual Airshow, for many years. Why? Says Dr. R. Asokan, Prof. &Coordinator(TIFAC –CORE) at HITS, “One is branding. Second, we explore hiring opportunities for our students. In the past, Singapore Airlines had directly employed AME students from HIET. Third, to interact with the industry to bridge the gap between industry and academia, by understanding what the industry requires, and introducing courses or specialisations that suit the needs of the industry. Most of our interaction is with companies in aerospace and aeronautics, with an international footprint”. “TIFAC” , acronym for Technology, Information Forecasting and Assessment Council, is an autonomous organization set up in 1988 under the Department of Science & Technology to look ahead in technologies, assess the technology trajectories, and support technology innovation by network actions in select technology areas of national importance. Hindustan University is the only one across India to have a TIFAC-CORE arm catering to aviation / aeronautics. The aim is to develop trained manpower for the industry through this program, to enable Indian aeronautics / aerospace industry to become independent. Under this program, 800 engineers, across various departments of Hindustan Aeronautics Limited (HAL) have been trained, across 21 batches. Students are also encouraged to participate in design contests, such as those held by SAE, NASA, and Spirit AeroSystems. Spirit AeroSystems Inc is a part of Boeing, and is into aircraft structures design and manufacture. In the 2014,2013 edition of the competition, the group from HITS emerged as the first runners up with students from international Universities, among global participants. In 2012, although the students from HITS that participated in the challenge did not bag a prize, their work on “Rubber Metal” won them an admission to a Masters degree at Wichita State University, with a fee waiver. The Hindustan University management also offers scholarships to meritorious students. 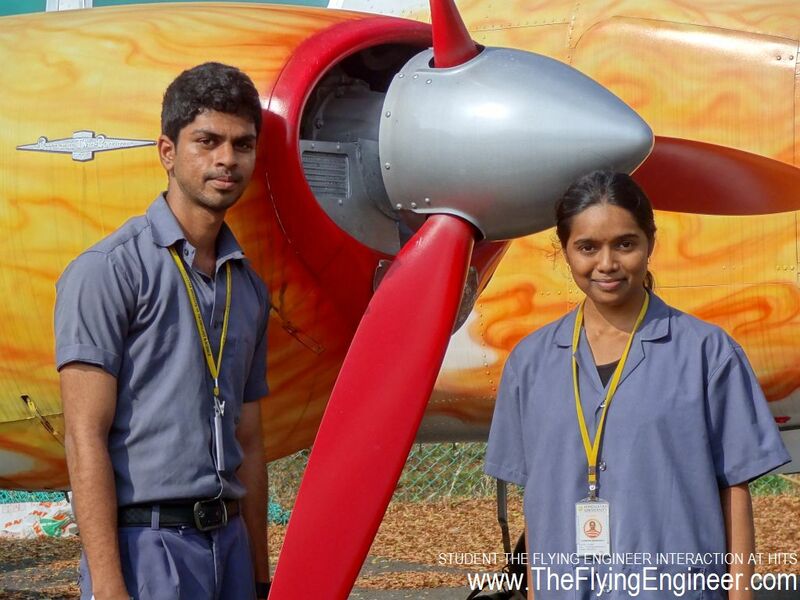 The Flying Engineer got to speak to two students studying in the 4th semester, picked randomly, from the aerospace department: SatyaTeja and Sreesa Manogya. Mr. Satya and Ms. Sreesa had completed their in-flight-lab exercise, and this reflected in their answers to questions about basic aerodynamics. Their understanding of a stall, and their understanding of flight controls, both secondary and primary, engine controls and instruments was surprisingly good, for students in their second year, and far better than that seen at any other college. An independent visit to IIT-Madras (Chennai) in 2012, where The Flying Engineer got to interact with students who had enrolled for a dual degree program in aerospace engineering do not seem to possess similar levels of awareness, perhaps due to two factors: the absence of accessible airplanes on the campus, and the absence of an in-flight-lab exercise similar to what students at HITS are entitled to. 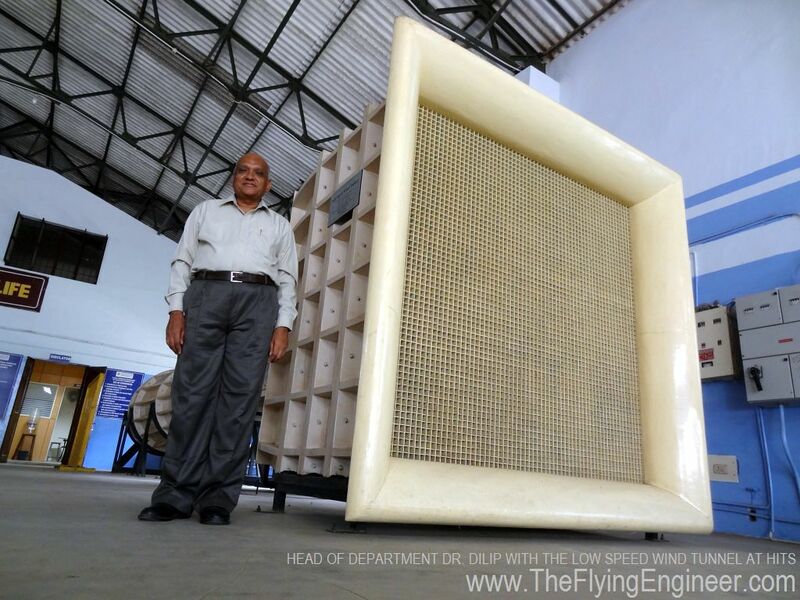 A career in aeronautics and aerospace is fairly limited, in India. The Indian indigenous aerospace sector, monopolised by HAL and NAL, do not have a good track record as far as aircraft developmental programs are concerned. The Saras, LCA, and Hansa programs are testimonial to this fact. Traditionally, students have left the country to pursue educational and employment opportunities overseas. However, with the advent of a reputed private player: Mahindra Aerospace, which bought over Gippsland Aero of Australia, there is an emerging scope for better research and development in India. This however, will take time. On the other hand, companies like Honeywell Technology Solutions Lab (HTSL), with three campuses across south India: Hyderabad, Bangalore and Madurai, are into software solutions in aviation, including, but not limited to the development and testing of flight controls, and flight management systems, both of which require a strong and deep understanding of aerodynamics. Moog, Boeing, Bombardier, Rockwell Collins and Airbus are other players which are into system development in India. Statistically, however, most of those absorbed into these companies are not from an aerospace background, but broader streams of engineering such as Electronics, Electrical, Mechanical and Computer Sciences. HITS is understood to be in talks with major aircraft company for a possible involvement with the department. Such MoUs, when explored and executed with companies of repute, will allow serious players to appreciate and handpick students from HITS. HITS is by far the only engineering college in India catering to degrees at the undergraduate, postgraduate, and doctoral levels that has a very practical approach to the subject. With pilot training and AME part of the group’s portfolio, Hindustan University is probably the Embry Riddle of India. However, to truly reach a similar level as its Florida based counterpart, HITS will have to engage in meaningful research, something which the department is all set for. Students from the institute are strong on their basics: the prerequisite for excellence. When research at HITS plays a larger role, HITS, which already is the best among private engineering colleges in India offering Aeronautics and Aerospace, and in the top 10 when compared against the IITS, will emerge as the only college to provide a comprehensive, holistic, practically oriented, and industry relevant atmosphere for education and research. I have read so many posts about the blogger lovers but this post is truly a good post, keep it up. I want to join in the college.